Doodlecraft: Easy Brush Calligraphy and Free Practice Sheets! 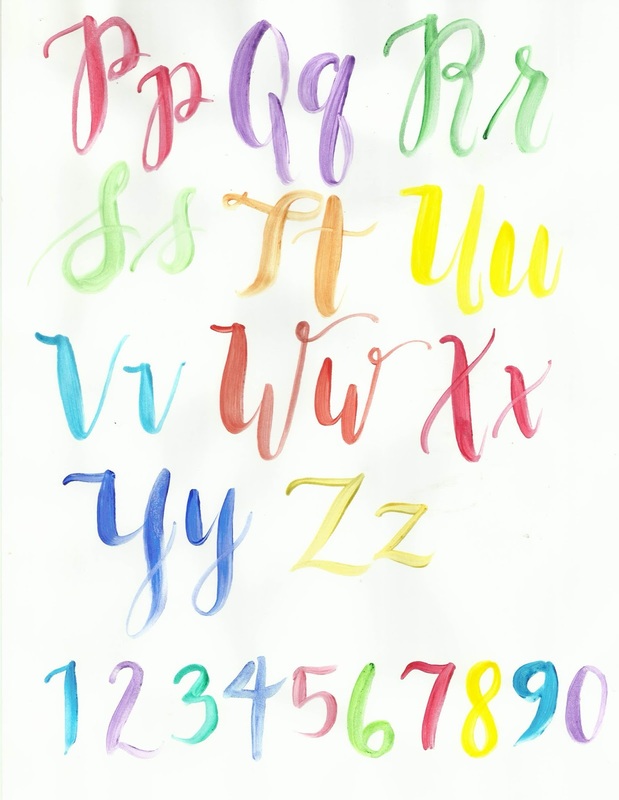 Easy Brush Calligraphy and Free Practice Sheets! I got this paintbrush set at a discounted price in exchange for this review. I needed some fantastic detail brushes and these are awesome! 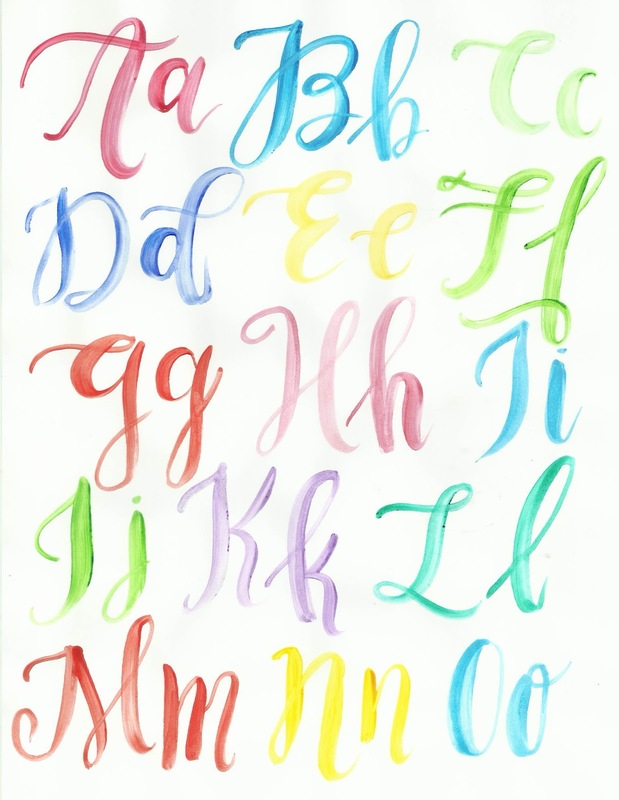 I used them with watercolors to do some simple brush lettering. The brush bristles dyed color very easily, but the brushes are very smooth and easy to use. I love brush lettering, it is so much fun to create your own sunshine! Have you tried Brush Calligraphy yet? It is simple to do and doesn't require a trove of supplies. Brushes and paints, brush pens, or even cheap markers! And then you'll need reams and reams of paper. I use so much paper. Here's some practice sheets you can print out and practice from if you want! Thick strokes when going down, and thin upstrokes! Takes some practice, but it is so fun. Are you inspired to try it! ?